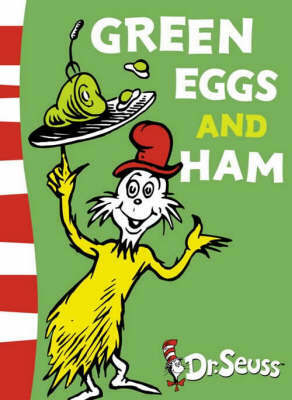 Emphatically declares the frumpledy-hatted creature in the Dr. Seuss classic Green Eggs and Ham. Just before he relents. Tries the green eggs and ham. And decides he likes them. Life is like that. We don’t like something. Until we do. While preaching John 9 this morning, I was thinking about the Pharisees. Yes, I can preach and think at the same time. I’d encourage you read the entire engaging chapter now. Quick context: Jesus heals a man born blind; nobody believes it; man has to prove he is who he is even to his neighbors; man gets hauled before the Pharisees; even man’s parents get called as witnesses. The Pharisees had decided Jesus was a sinner—guilty of breaking their Sabbath—and could not have healed the man before their interrogation had even begun. The legalistic Pharisees would not believe it possible for Jesus to perform such a healing. More than would not, it seems that they could not believe it. Such an act was outside their realm of possibility. The Pharisees had Green Eggs and Ham Theology: Jesus could not, would not… Jesus didn’t fit their theology. In verse 27, when the formerly blind man pokes the persistent Pharisees, “Do you want to become his disciples too?,” they get mad and throw him out. Could not, would not fit what you like, get angry and throw them out. Always effective. Get what you want. Ignore the evidence. Go on with life—your could not, would not life. Your God-in-a-box life. How many of us, how many times, do we put God in a could not, would not box? We don’t think He could? We don’t believe He would? We put Sovereign God in a box walled by our own limited experience and incomplete imagination. We’re like the Pharisees. We’ve got Green Eggs and Ham Theology. And we wonder why God doesn’t do more in our lives? Hey, friends! Please share this post using the tools below & subscribe using the box at the top right. Thanks!